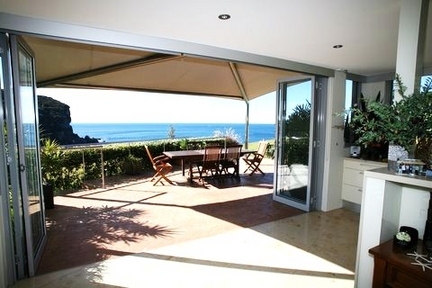 Set high on the exclusive Bangally Headland strip overlooking the Pacific ocean, this is the ultimate holiday lifestyle. Surrounded by the serenity of the ocean, bushland and crashing waves, with the beach just minutes away, this generous and luxurious residence will meet the expecations of the most discerning of holiday makers. Focused on contemporary living, the free-flowing open plan living and dining merge with full width terrace that maxamises magnificent ocean views.